The course that is being presented this week in our face-to-face Substance Abuse Counselor Training at PAHA is part of our DSM-IV TR for the Addictions Professional Series: “Schizophrenia and Other Psychotic Disorders“. 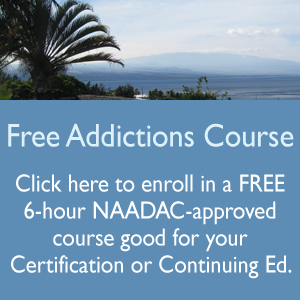 This is a 6-hour course that is also available at our on-line training center anytime at http://substanceabusecounselortraining.com which covers the topic of Schizophrenia and Other Psychotic Disorders with a specific substance abuse focus for Nurses, Counselors, and other Health Professionals. Really good information. I didn’t realize that the number of people effected by Schizophrenia in the world were so high. The theory that when and where a person was born on the planet could also be a deciding factor was facinating. I would have never thought that had anything to do w/Schizophrenia but it definetly makes sense. What we put in and do to our bodies really is so important for overall well being, even more so if your growing another person in there. Indeed schizophrenia was nonexistent several centuries ago. Look at the work of Dr. Richard Petty of University of Pennsylvania.